As we return our baskets to the queue, we might recall that it was on this date in 1904 that “CQD” (Morse code – · – · – – · – – · ·) became the official distress signal to be used by Marconi wireless radio operators. 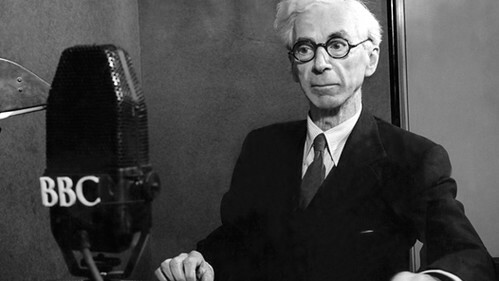 A few years later, judging that “CQD” was too easily mistaken for the general call “CQ” in conditions of poor reception, the signal was changed to the now-ubiquitous “SOS” (· · · – – – · · · ). 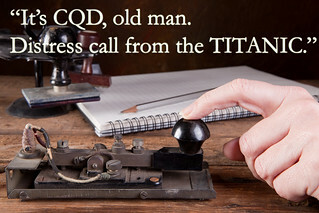 In 1912, RMS Titanic radio operator Jack Phillips initially sent “CQD”, which was still commonly used by British ships. Harold Bride, the junior radio operator, jokingly suggested using the new code, “SOS”. Thinking it might be the only time he would get to use it, Phillips began to alternate between the two.